Aluminium bi-fold doors are an elegant, space-saving solution for your beautiful home in Clifton. Our bi-fold doors fit seamlessly into the allocated space and fold away effortlessly when open. Thus, creating an open-plan feel, which gives easy access to your outdoor space. Our aluminium bi-fold doors are a practical and elegant addition to your home, providing security and style. Our eye-catching designs transform your space to bring more natural light into your home. Thus, creating the illusion of a larger more luxurious room. Without the need for opening space associated with other doors, our aluminium bi-fold doors have concertina opening functionality. This means they slide neatly over to one or both sides, maximising space with a wide aperture. 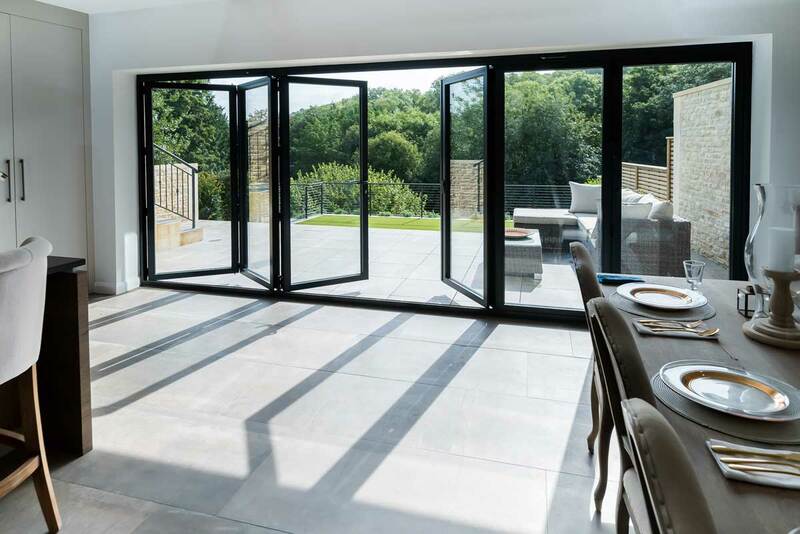 Our beautiful aluminium bi-fold doors fold away neatly allow you to enjoy your garden in the summer without compromising warmth and security in the winter. Using environmentally friendly materials, such as aluminium, ensures that your aluminium bi-fold doors will never rust, warp, rot or discolour over time. These materials mean that our doors are incredibly durable and are tailor made to fit the space allocated to your new doors. 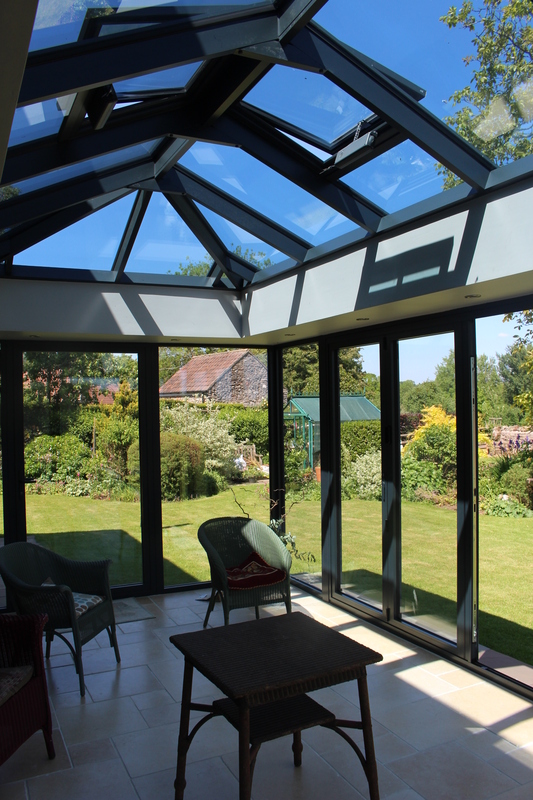 Our aluminium bi-fold doors are lightweight and elegant without compromising quality or security. Using a unique, high strength roller design and a double track threshold, which allows your doors to open and close smoothly without slipping, dragging or detaching from the track. Our aluminium bi-folding doors offer high security protection for your home in Clifton, with a secure locking system and robust glazing to deter any unwanted visitors. Strong frames and our use of exceptional quality building materials ensure protection for you and your family. Our Visofold range of doors are proven PAS 24:2012 accredited for security and all our doors offer high security hinges and locking mechanisms as standard. At Panoramic, we have made sure that our high-quality seals and gaskets ensure your space stays warmer for longer. Our lightweight doors will reduce your reliance on central heating, consequently reducing your energy bills and your carbon footprint without compromising on its silhouette. You will notice the difference with our environmentally conscious, aluminium bi-fold doors during the winter months without comprising style. Our standard 28mm double glazing units have an impressive Energy Rating of at least ‘B’, whilst our 36mm triple glazing units can reach outstanding ‘A’ ratings. Panoramic aluminium bi-fold doors offer a sleek, contemporary addition to your home and are available in a range of exquisite designs and colours to suit every taste. We offer a range of RAL colours, as well as a marine-grade powder coating. Our marine-grade powder coating offers a robust, long lasting colour that you can rely on. Whether you choose complimentary colours that match the harmony of your space, or contrasting colour, your slimline bi-folding doors will be a feature that transforms your property. We offer a stunning range of hardware modifications, so your aluminium bi-fold doors complement your property perfectly. Whether you choose gothic heads, ornate door handles or simple, sleek hardware, we will create your perfect bespoke bi-fold door system. Whether you live in a traditional or contemporary property, our unique doors are a great addition to any type of home, seamlessly and harmoniously joining your outdoor space with your indoor space. With the opportunity to customise your aluminium bi-fold doors, why not create the perfect addition to your home. Our slimline doors flatter the aesthetics of your home whilst creating a bright and contemporary space-saving solution for your property. Smart Systems’ Visofold profile is our product of choice due to its wealth of benefits. One of these being improved threshold access and a polyamide thermal break which ensures seamless access. These bi-folding doors can be opened in a range of configurations, including left to right, right to left and central opening. These doors open to almost threshold length, optimising your space, providing unparalleled views and creating a seamless opening to your outdoor space. Our smart bi-folding doors create a unique living and social space. Our expert team are happy to assist you with any queries and discuss our range of slimline aluminium bi-fold doors. Call our friendly team on 01179560321 with any questions and we’ll show you how to use our handy bi-fold door cost calculator to generate a guideline quote. Want more? You can visit our Panoramic showroom at any time to view our range of aluminium bi-fold doors and to discuss the options with one of our team. To book an appointment with a member of our team, call us and let us take the first steps towards adding a practical and luxurious door system to your home. 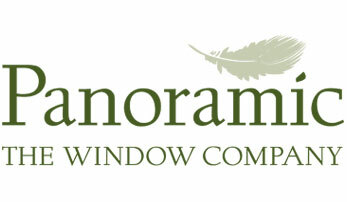 Panoramic is a long-standing company which has been in business for over 40 years. Our experience in the industry means that we only use the finest materials to create unbeatable, cutting-edge doors and windows for unbeatable prices.